Hybrid Air Vehicles has been given production approval by the UK’s Civil Aviation Authority for its Airlander 10 airship, paving the way for the company to start building what it calls the “world’s largest aircraft” this year. The Production Organisation Approval (POA) granted by the Civil Aviation Authority (CAA) considers the manufacture and assembly aspects of aircraft production and was given at the end of last year. The POA comes after the prototype Airlander 10 was formally retired following the successful conclusion of its flight testing. The aircraft is to be broken down and reused in the production of the first commercial Airlanders. The company moved into its production facility, the “Airlander Technology Centre”, in June 2018. HAV obtained Design Organisation Approval (DOA) in October 2018, which covers design activities and flight test. Both a DOA and a POA are required to move forward into a type certification program and produce the Airlander 10. The company said it is in a “strong position” to launch production of its Airlander 10 airship during 2019. 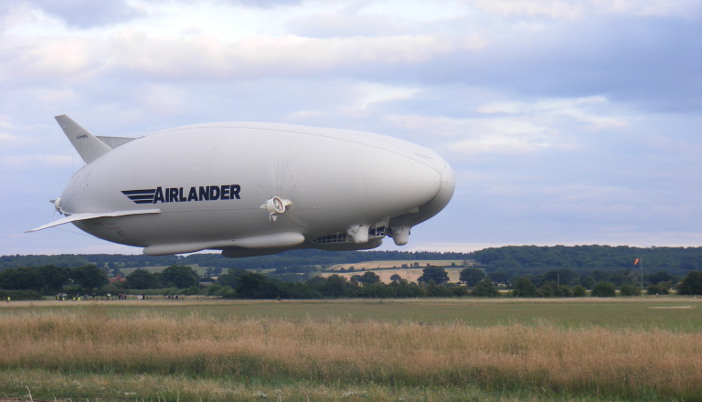 HAV plans for the Airlander 10 aircraft to be in service with customers during the early 2020s. The 302 x 143ft (92 x 43.5m) helium-filled airship is part lighter-than-air blimp and part airplane. Its shape is designed to minimize fuel usage through the additional lift it gives the airship. The Airlander 10’s top speed is 90mph (148km/h) and it is designed to stay aloft for up to two weeks. Payloads up to 10 metric tons are planned for the aircraft which, HAV claims, will be able to land anywhere. Development of the Airlander started in 2007 and the design was originally produced for the US Air Force. The project has suffered several crashes, including a collapse of the Airship last year.